After the success of To All the Boys I’ve Loved Before, Netflix seemed to be hitting it out of the park in the teen high school comedy movie department. 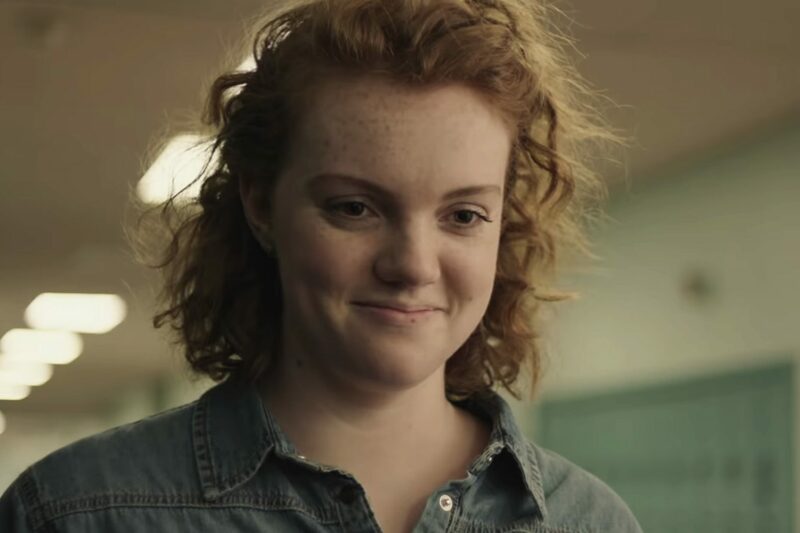 Then comes Sierra Burgess is a Loser, which seems like a smash hit on paper, but didn’t quite hit the A grades that the character herself achieves in the runtime. Sierra Burgess is at the top of her class academically, but at the bottom socially. When Veronica, her polar opposite in every way, gives Sierra’s phone number to Jamey, the quarterback, under false pretences, Sierra attempts to start a relationship from behind the screen, all while pretending to be Veronica. Things get more complicated as Jamey wants to meet in person. Veronica and Sierra form an unlikely alliance where Veronica helps Sierra to catfish Jamey while Sierra tutors Veronica to impress her college freshman on-again-off-again boyfriend, Spence. What was likely supposed to be a lighthearted comedy about the struggles of high school hierarchies and the struggles of body image turned into a bit of a sadistic take on The Importance of Being Ernest with a modern twist. Throughout the film, Veronica experiences way more character development than Sierra does. Veronica overcomes her nasty ways and tendency to look at people for not only their own looks but the looks of their friends as well. Sierra, however, doesn’t learn anything from her experience, and she never really has to face any consequences for her bad moral judgment and actions. My boyfriend had to run to another room the first time Sierra and Jamey met in person — and it wasn’t good cringe humour like in the film Eighth Grade either. The film made me more interested in Veronica than it did Sierra, and that is entirely the opposite point that it was intending. In intending to make a so-called “fat” character the centre of the production, she is seen to be both morally wrong and incapable of growth. I’m still not exactly sure why her story ended the way it did, due to the countless morally questionable things that she did throughout the runtime. The most frustrating thing about the film, however, didn’t come from the plot or characterization at all — it was the texts on screen. Jamey and Sierra often text each other back and forth, but their texts are only displayed on their phone screens, not read allowed or put into subtitles like everything else. Unless you pause the film to read the texts they exchange, I wouldn’t suggest watching this on anything except a laptop. Trying to read their texts on a TV set was ridiculous and impossible, and it began to be more of a joke as to what they were saying than anything else when I had to pause every five seconds. Speaking of jokes, if you’re not a fan on cringe humour, I’d suggest that you avoid the film, especially some of the scenes in the middle. If the film has anything going for it, it’s the cast. Shannon Purser, of Stranger Things fame where she played the viral hit character Barb, plays Sierra, a band-nerd girl attempting to differentiate herself enough to get into Stanford. Noah Centineo, the heartthrob Buzzfeed won’t let you forget from his role as Peter Kavinsky in To All the Boys, plays Jamey. The cast also includes Kristine Forseth, a relative newcomer, as Veronica, and Chrissy Metz of This is Us as Veronica’s mother. Other star-studded names include RJ Cyler as Dan, Sierra’s best friend and biggest competition for college, William Peltz as Veronica’s smarmy college boyfriend, Spence, and Lea Thompson and Alan Ruck as Sierra’s parents. Unfortunately, that’s about the extent of the prestige of the movie and any reason why you should watch it. If you like Barb, go re-watch Stranger Things. After all, Sierra Burgess, both the character and the movie, is a loser.